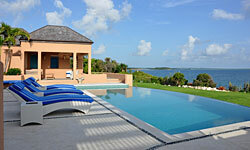 On this page our three bedroom villas are featured. 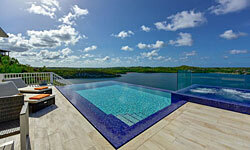 We also have one-two, four, five and greater bedroom villas detailed on-line. 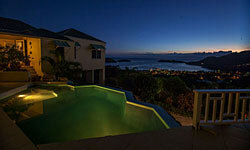 Many villas offer lower rates for smaller groups. All prices based on 2 persons per bedroom. Please note that description and amenites are deemed correct at time of writing. We try to keep this information updated, however sometimes things change without our knowledge. If something listed is very important for you make sure to verify it with us. 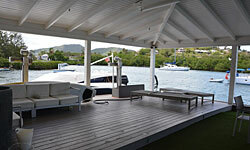 Many villas offer reduced rates for smaller groups. If you haven't found your ideal vacation home yet, you might try browsing the larger villas (see links below). A villa is never rented out to more then one party. For example, if you rent a 4-bedroom villa for just the two of you, the other three bedrooms are usually locked, so that the maid doesn't have to clean them or that expensive electricity is used to run the air-conditioning in that part of the house.